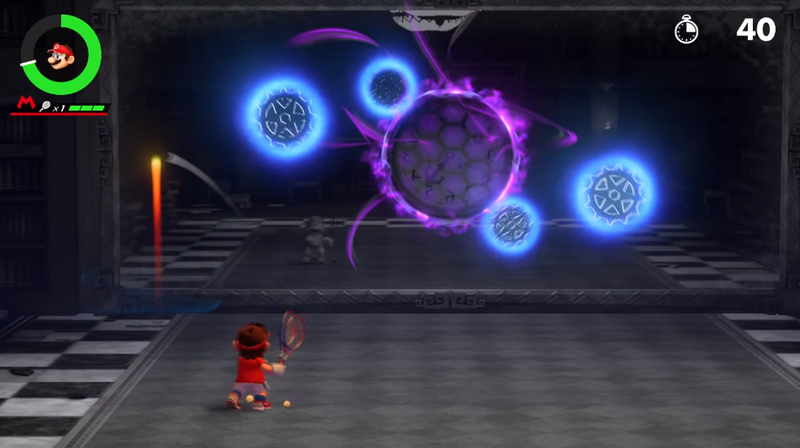 Mario Tennis Aces is the latest entry in the long-running Mario Tennis series, and as such, it's brought a ton of new challenges with it. Many of its most difficult moments can be found within its adventure mode, which acts as the game's option for story mode. 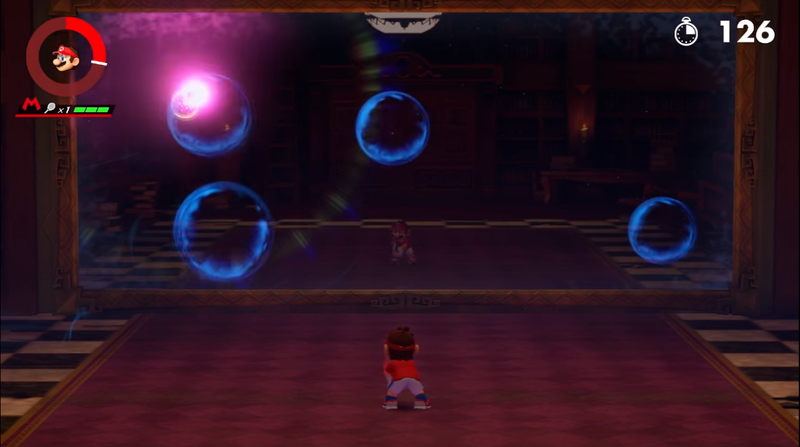 While you're exploring the world as Mario along with Toad, you'll come across one area in particular at the Mirage Mansion known as the Reflection Room, with the level called The Great Mirror Mystery. Here, you're tasked with solving a mirror puzzle to clear your way toward a boss fight. It can be a little tricky to figure out how to complete what's asked of you here, so we've put together a guide to help you conquer the Reflection Room Puzzle. When you first enter the Reflection Room, you'll be met with three bubble-like objects floating on a mirrored wall. You'll have to smash shots their way, but in what order? 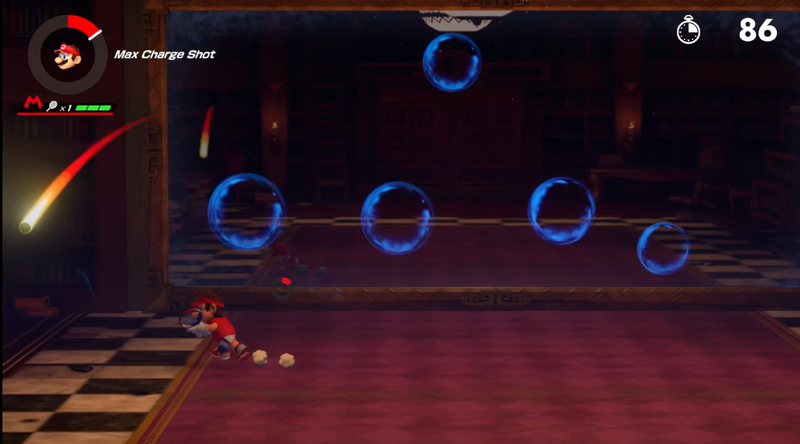 You can determine this by launching well-timed balls at the bubbles and listening to the sounds that play as a result. This is what most players fail to realize upon heading into this room, opting instead to try and burst all bubbles one by one. This won't work, so you'll have to figure out the correct one to burst first. If you hear a soft "plinky" sound when you hit a bubble, that's when you know you're on the right track. After you figure out the correct bubble to aim for, a star will appear on the ground, prompting you to perform a Zone Shot. Run over to the star and slow down time to perform a Zone Shot, aiming for the bubble that made the sound. When you hit it with your Zone Shot, the bubble will disappear. You can then move on to aiming for the next one. Repeat this process until all the bubbles have been cleared. When you clear all the bubbles, more will appear. Follow the exact same strategy here, and continue to aim for them. 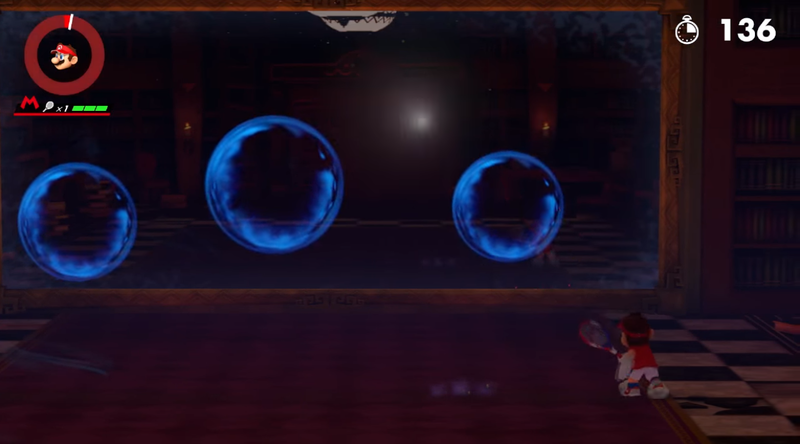 Gradually, more bubbles will add with each round you complete, until a larger "clock" appears in the middle of the mirror. The bubbles will have changed to moving gears. You need to aim for the gears and clear them out. When you get rid of one set of gears, another will soon appear, with each gear moving quicker than the last set. 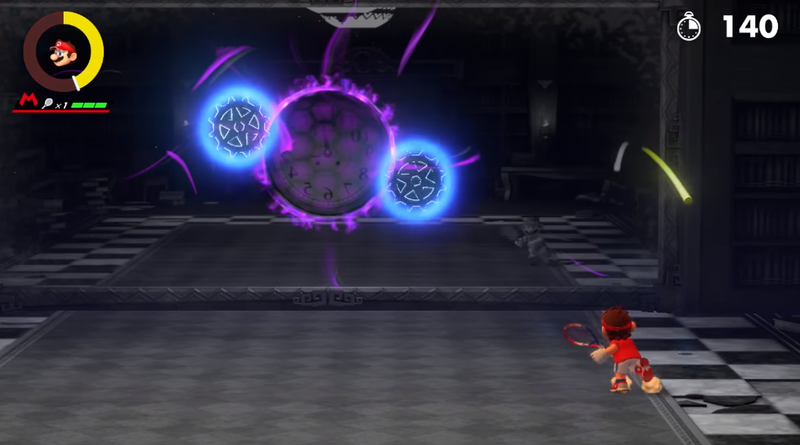 Eventually, you'll reach the final stage of gears, which you can't clear out without resorting to Zone Speed and Zone Shots. When these appear, you'll need to use Zone Speed to aim for the gears, but not at their current position. Aim slightly ahead of them, at where you're anticipating them to be a few seconds after you launch your shot. Otherwise, you'll miss and lose precious seconds. Once you clear all the gears, aim a Zone Shot at the clock remaining on the mirror wall, and it'll disappear. When this is done, you'll complete the entirety of the stage. Now you can head forward for the boss battle that follows this one. If you make a mistake during the battle, don't worry about having to go back and finish this puzzle again. You'll simply be able to restart the boss encounter.